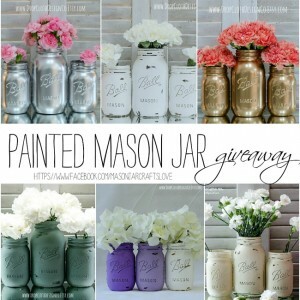 I’m giving away one case of Ball Canning’s Vintage Style Green Mason jars to one lucky winner. 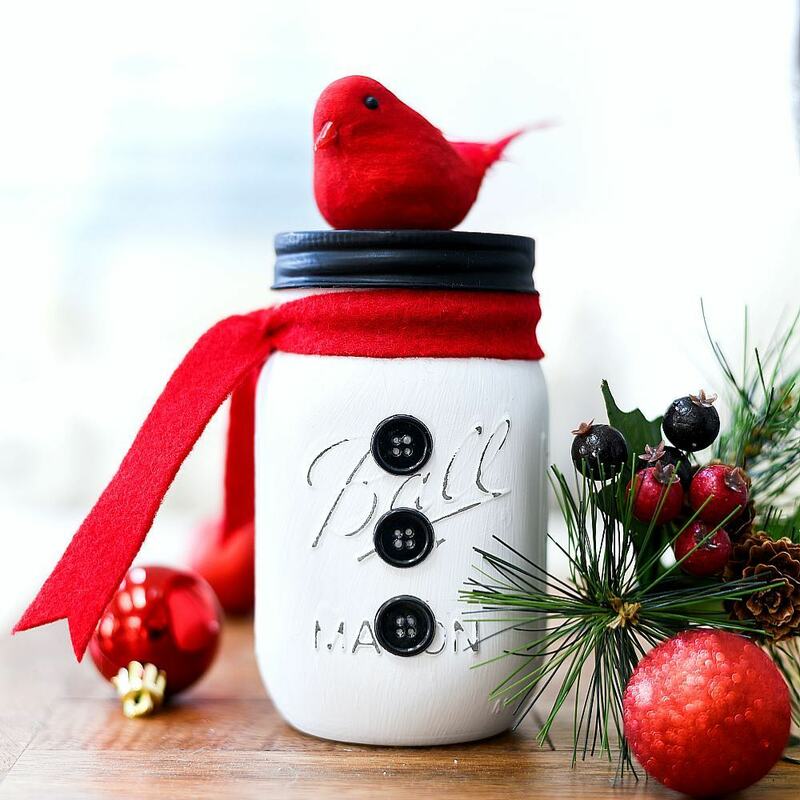 A second lucky winner will receive Ball Canning’s new Décor lids. One package of green (6 lids included/package) and one package of vibrant blue (6 lids included/package) – for a total of 12 lids. 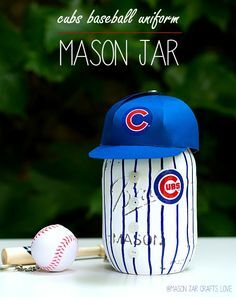 I am loving the painted lids! I love both prizes. 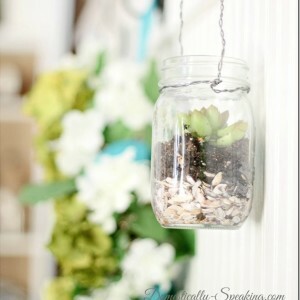 The green jars sprout colorful cheer, announcing spring is just around the corner! And the blue lid are such a gorgeous hug. I hope to win! Good luck, all! 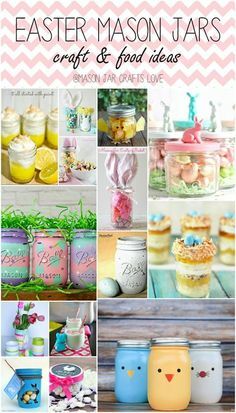 Like all ball jars especially the colors. Cannot pick a favorite. The color lids add so much to the total set. I love the second prize!!! good luck everyone!! 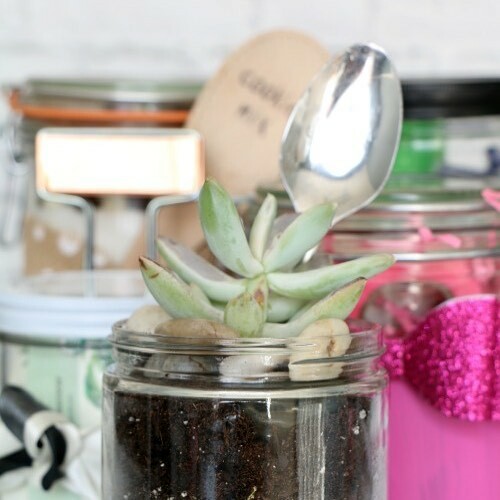 Oh live the green jars. .
Love them! Thanks for doing this! Oooooh!!! Love!! Love!! Love!! I hope I win!! 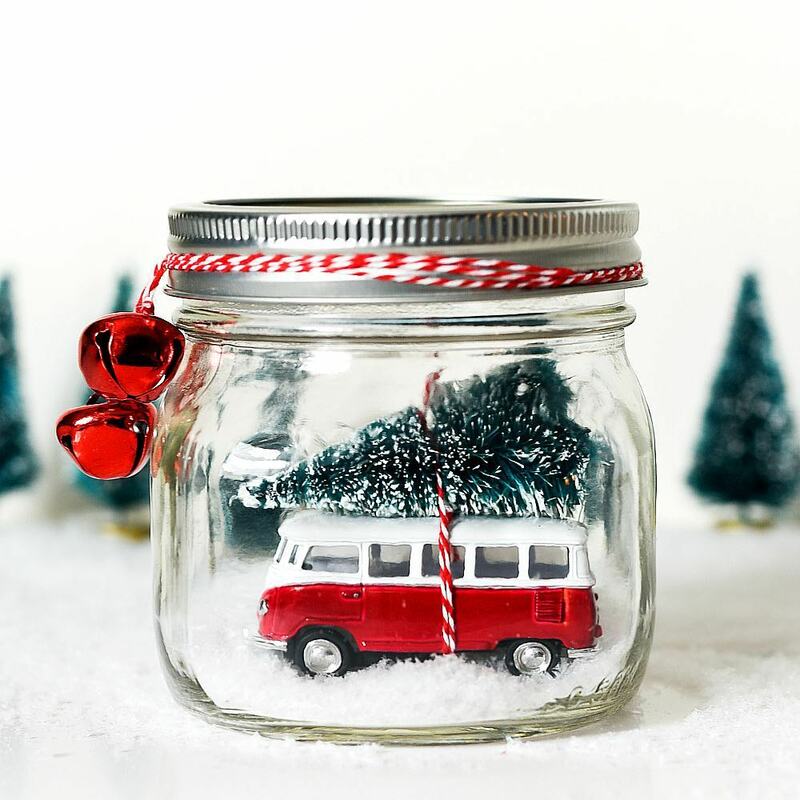 Love Ball canning jars! The vintage colors are beautiful! 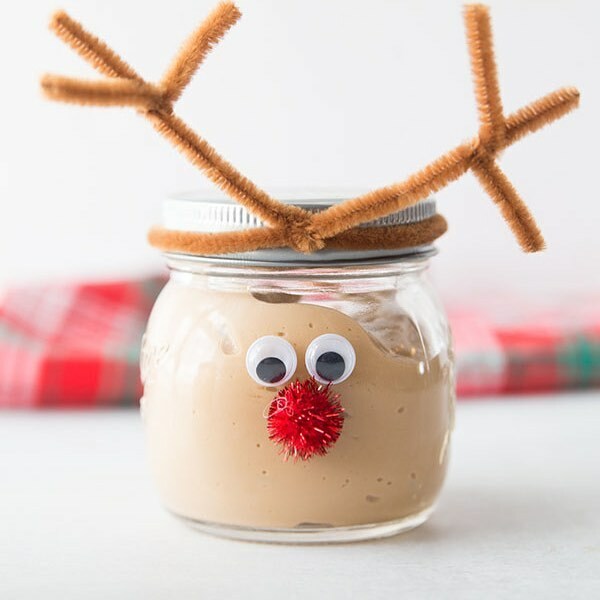 I love these jars. Have been wanting these since the first time I seen them. I like the green ones! Thanks for the giveaway. Love your sites! 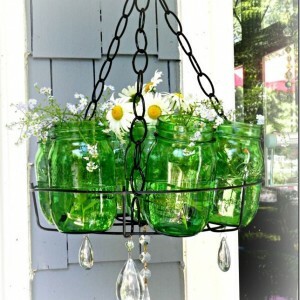 Love those green jars too! 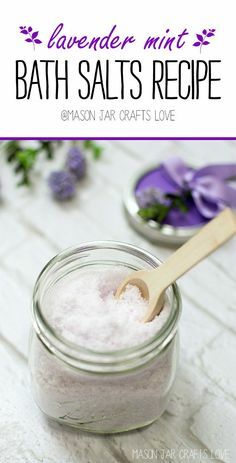 Those are so exciting; something new in the world of jars. Thanks for this giveaway! 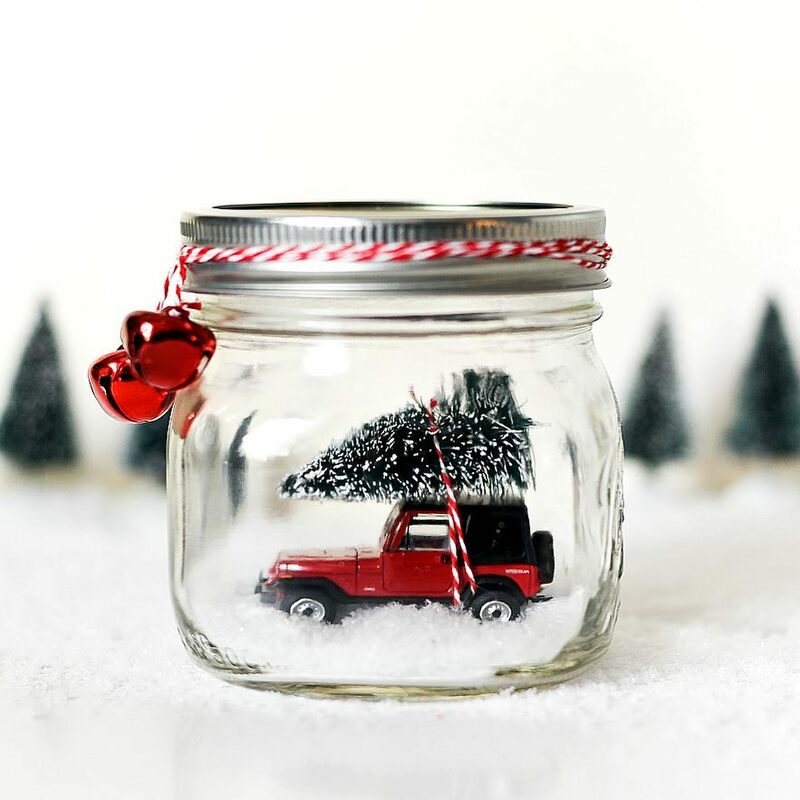 Love the jars and lids! 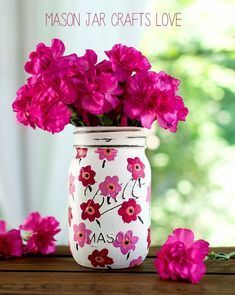 Love the jars and the pretty flowers! 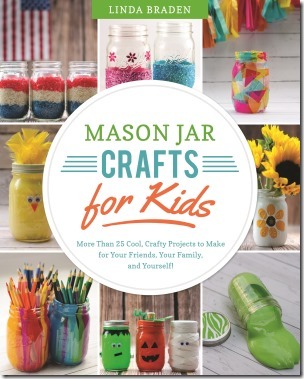 I want so badly to win those green jars. They are so pretty! 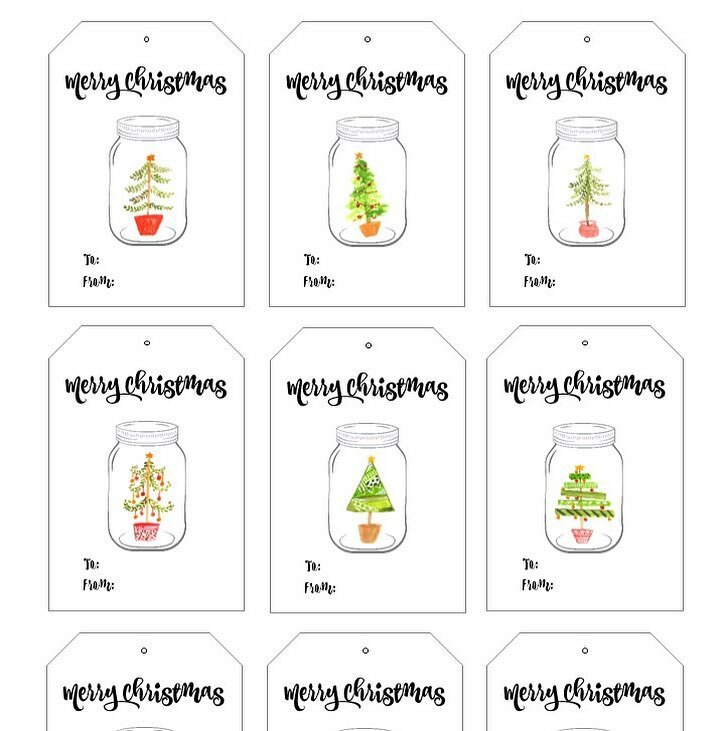 Love the jars and lids!!! I love, love, love the green Mason jars. I thought for years I loved the blue, but the green absolutely is refreshing and a breath of Spring! I need to make something out of the jars I’m hoarding. So many ideas here. I’ve not seen the green jars before. Love them!! 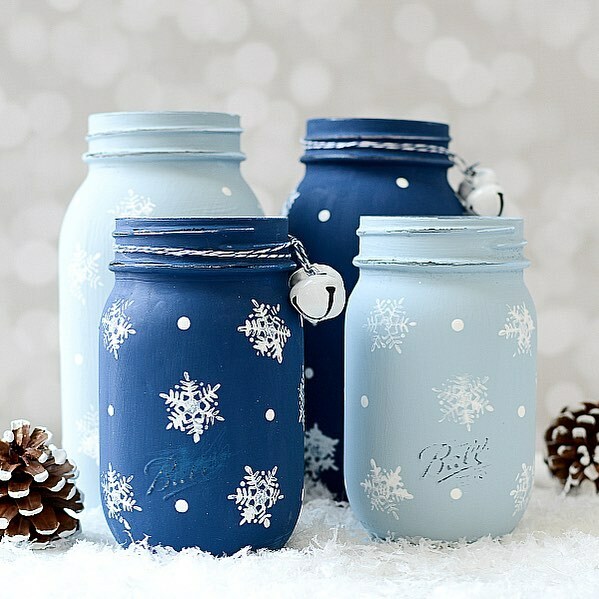 The jars are so pretty, as are the lids. I would have fun playing with these! Thanks for the giveaway. 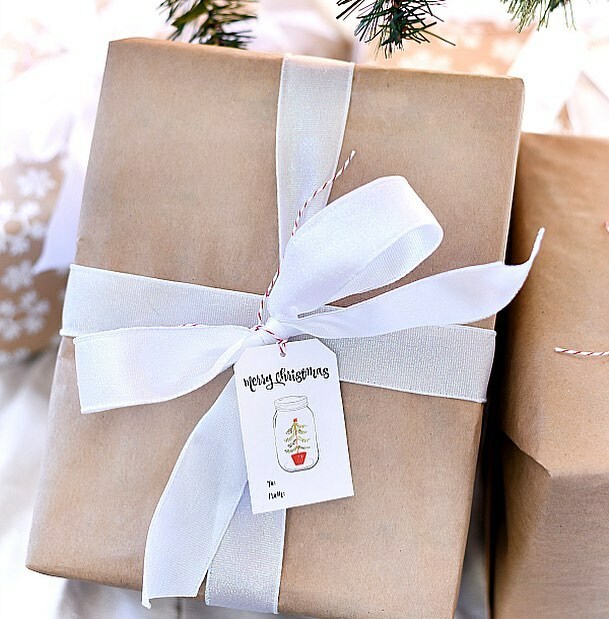 I love all the ideas that you bring on your blog. I made the glittered shamrocks for all of my friends and they loved them. Thanks for sharing such a treat. And thanks so sharing so many great ideas! 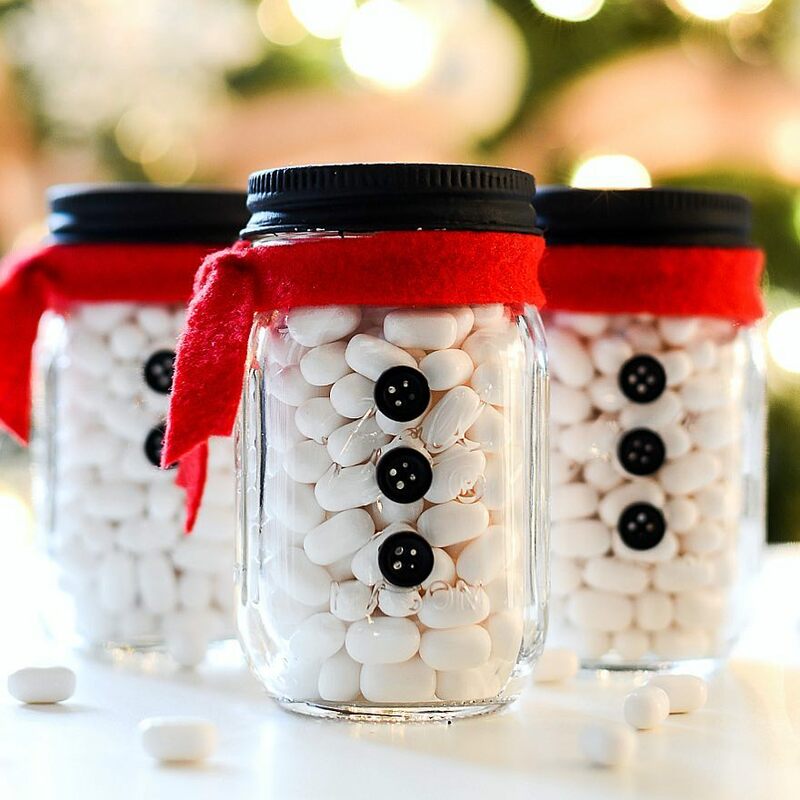 I absolutely love these jars! I have searched every where and have only found the blue. This would be an awesome prize!! You know I need those greenies! 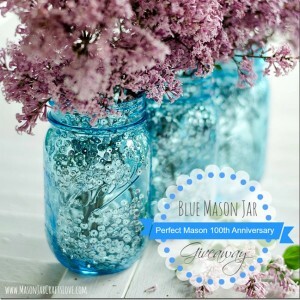 Love, love, love your mason jar ideas! I hadn’t seen the lids before. Love them!!! Thanks for the opportunity. Fingers are crossed! 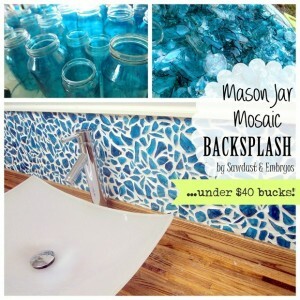 I bought the blue jars last year at Kroger and planted flower seeds in them and used solar lights in them, beautful! Love the green colored ones! what a awesome giveaway! I hope I win! 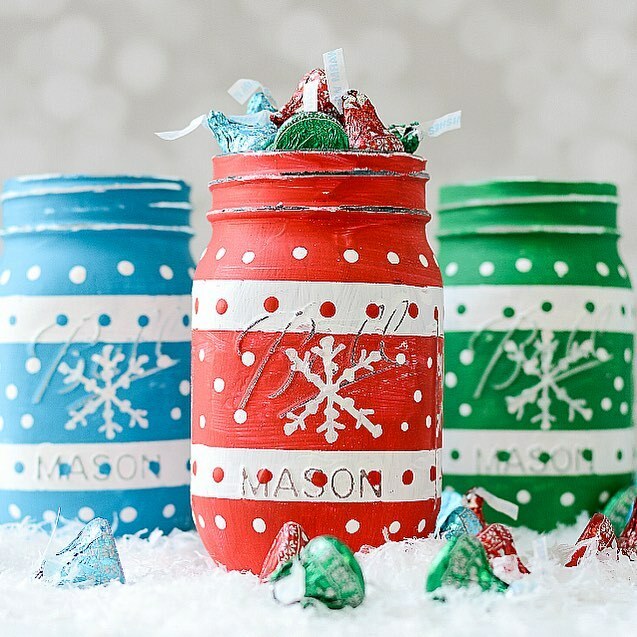 Loving the vintage green jars and colored lids they will make my homemade pickles look even nicer for gift giving. The green jars are sold out here in my area. I sure hope I win these!!! 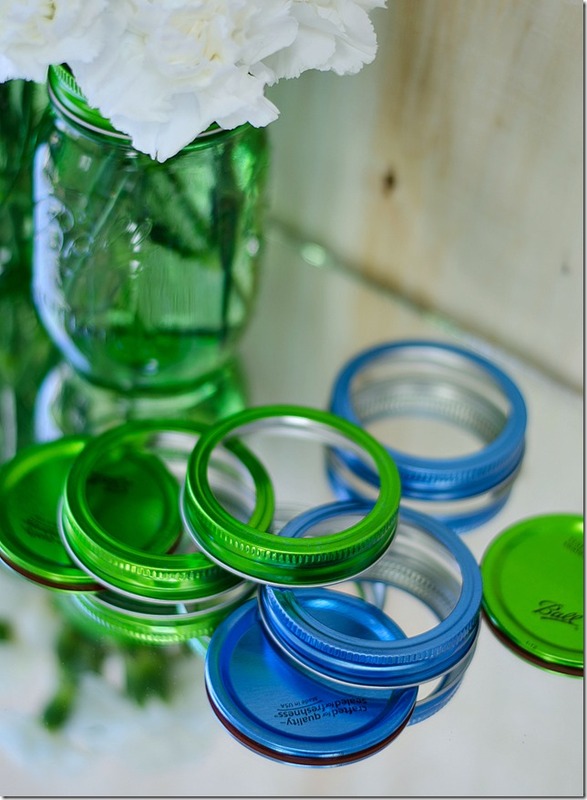 L9ve these colored jars and lids! So beautiful! They will look great filled with anything!! 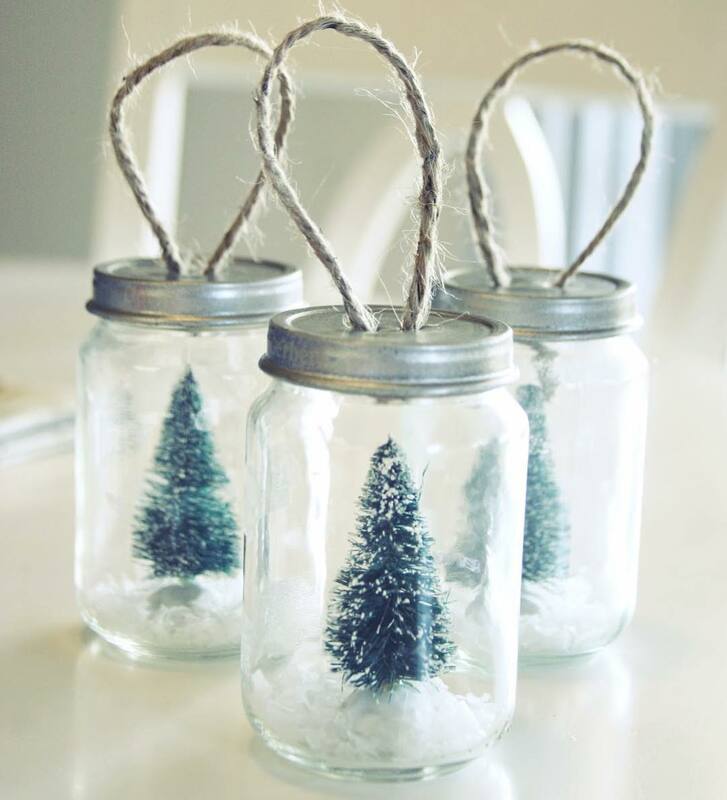 The green jars are beautiful! 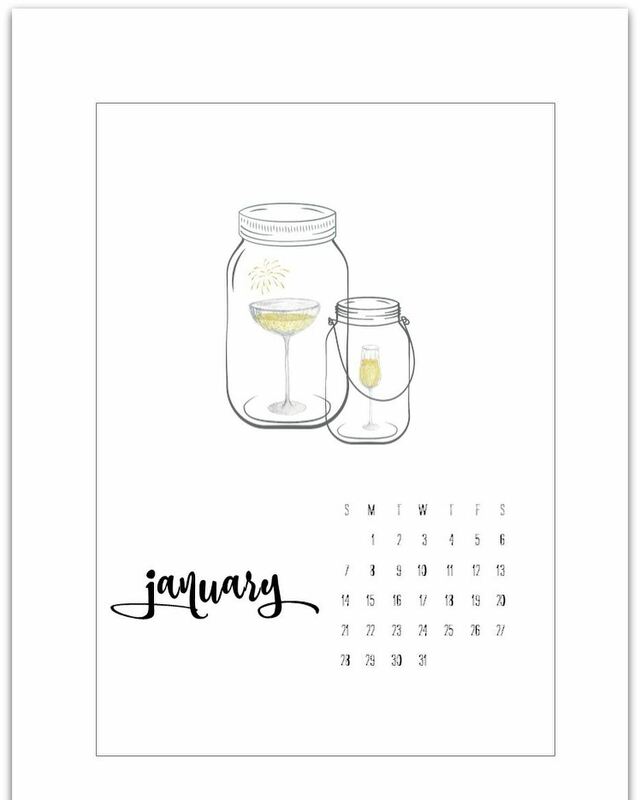 when is the ending date to the canning jars? how do i enter this way? 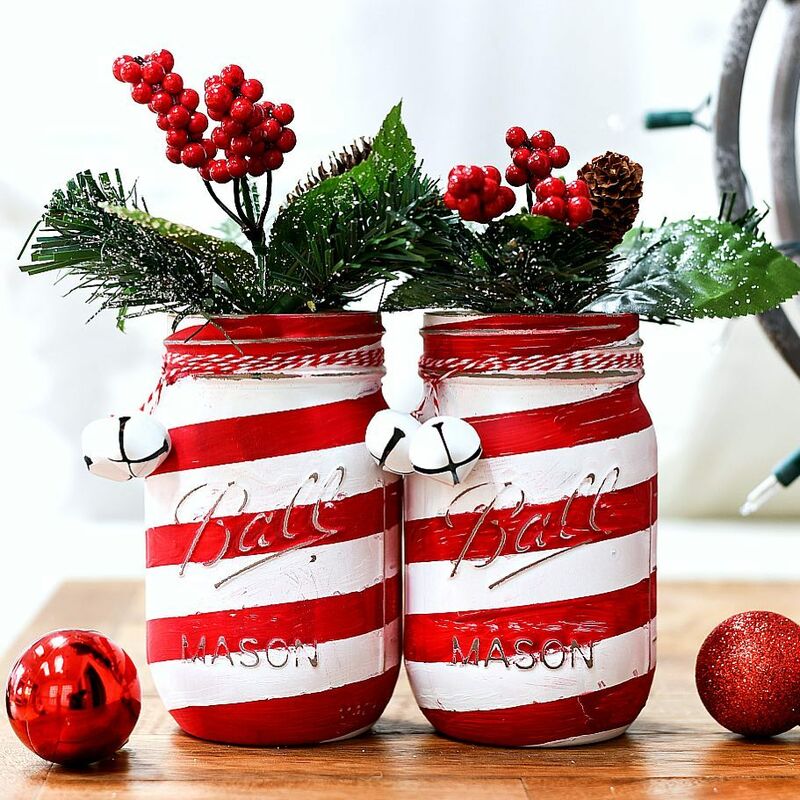 where can i buy the canning jars that look that way so if i dont win i can buy some?… My son is getting married in sept and doing the mason jar idea. so we been looking at everyone idea”s maybe we will think of something else. I dont know but thank you for idea and good luck to all brides to be.. i wish you all the best.. It will be a day I get a daughter I am so Happy i cant wait till Sept comes :). 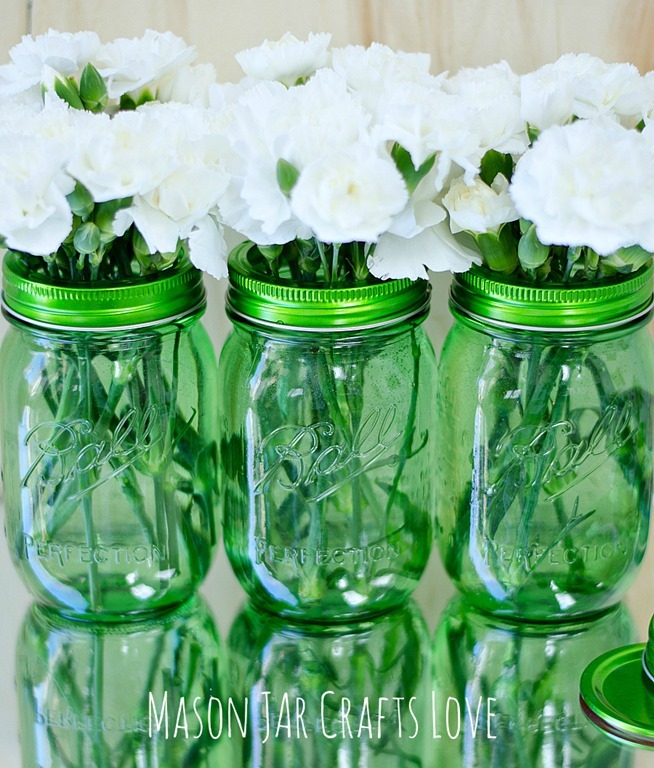 Loving the green mason jars! Lids are so cool too!